Quality Windows in Norton: Top Home Remodeling Projects | Boss Services Inc. Looking for the best remodeling projects to increase the value of your home? As the housing market rebounds nationwide, Americans are looking for new ways to help their homes stand out from the crowd by making improvements that add value. Boss Services, Inc. residential remodeling provides a wide range of services for customers throughout Massachusetts. Whether its your goal to upgrade to top quality windows, put on a new roof, remodel a kitchen or bathroom, put on an addition or just about anything in between, our team of licensed and experienced contractors can help you to achieve your goal. What Are the Best Projects for Home Remodeling? There are many different ways that you can upgrade your home, such as choosing to modernize and install new windows, put in new flooring or do some interior painting. However, some project will pay off more than other, adding function, flair and value to your home. This is important not just for you and your own quality of life while living in your Massachusetts home, but also for prospective buyers that you may want to woo in the future if you decide to put your house on the market. Upgrading Windows – There are a couple of benefits associated with installing top quality windows that homeowners should take advantage of when doing a remodel or renovation. When you upgrade windows in Norton or the surrounding area, particularly on an older home that has single-pane windows with wooden frames, you not only improve the look and feel of those windows to enhance the curb appeal of your home, but you also take steps toward making your home more energy-efficient. Top quality windows that are Energy-Star rated can help you to lower your energy consumption for heating and cooling by as much as 15-20 percent. That adds up to easy savings and creates a more efficient home, which will ultimately make it easier to sell to prospective buyers. Kitchen Remodel – Once prospective buyers get inside, after being attracted by your beautiful top quality windows and stunning curb appeal, the first thing they look at is the kitchen. A good kitchen can make or break a sale. It can even add value to your listing, allowing you to sell your home for a higher price than other similar houses in the neighborhood that did not upgrade their properties. You can get as much as an 80 percent return on your investment with a sensible kitchen upgrade. Old and out-dated cabinets and cupboards, counter top and flooring, appliances and fixtures, plus you could also install new windows to complement the new style and design to create a seamless design. Bathroom Remodel – Next on the list is the bathroom remodel. Boss Services, Inc. residential remodeling can help you with this too. Beautiful bathroom vanities, fresh tile, modern showers, stylish lighting fixtures – these designer treatments should be at least applied to the master bathroom and the main guest bathroom. Consider an upgrade to windows in Norton for the bathroom as well, choosing styles and colors that coordinate with your new design. Choose from a variety of brand name products for great results. Quality bathroom remodels completed by reputable remodeling companies can yield up to a 75 percent return on your investment in home values. Siding – Back to the curb appeal, if the exterior of your home does not look as good as it could, it is worth the investment to at least repair or replace the siding. If you are already going to upgrade windows in Norton to Energy-Star efficient windows, you might as well fix or upgrade your siding at the same time. Coordinate colors for a whole new look or match the original shades to bring an updated, yet classic look to your home. Replacing old, worn and broken siding can bring as much as an 80 percent return on your investment. The average job is around $10,000 meaning that you could add around $8,000 to your home’s value. Decking – Outdoor living spaces are huge, but what is worth even more than a concrete patio is a nice wooden deck. The cost for putting in a new deck – or replacing an old one – will depend upon the size of the space and the type of materials that you choose. Work with your contractor at Boss Services, Inc. residential remodeling to find the best solutions for your home, lifestyle and your budget. If you are thinking about contracting a home remodeling project, contact Boss Services, Inc. residential remodeling experts by calling (508) 297-0635. We can come out to your property, take a look at the work that you want done and provide you with a quote for our services. 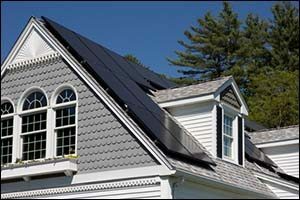 Whether you want to install new windows for an addition, upgrade to top quality windows to make your home more energy-efficient, or if you simply want to upgrade windows in Norton, MA and the surrounding area to boost the value of your home, our team of highly trained and experienced technicians can help you achieve your goals. Call today to learn more about our residential remodeling services or to schedule an appointment with one of our skilled contractors.